Today we’d like to introduce you to Danny Alvarez. I am the head instructor and owner of Alvarez Brazilian Jiu Jitsu in Arlington, TX. I am a 3rd Degree Black Belt in Brazilian Jiu Jitsu with about 20 years of experience. Like a lot practitioners, my journey through Brazilian Jiu Jitsu started after watching the first ever UFC (Ultimate Fighting Championships) in November of 1993. I was 18 years old and watched this skinny Brazilian guy named Royce Gracie defeat three larger opponents with ground grappling and submissions. I am originally from Saginaw, MI and at that time Brazilian Jiu Jitsu was so new that there weren’t any academies that taught the art. It wasn’t until a few years later that Brazilian Jiu Jitsu would make its way to Saginaw. After finally locating a Tae Kwon Do academy that offered Brazilian Jiu Jitsu classes a few days a week and trying my first class, I was hooked. I found it fascinating how a much smaller person could overcome and submit bigger opponents. Being 5 feet 7 inches and 145 pounds, it seemed like the perfect fit. With only being able to train just a few days a week and wanting more, a few other guys that I met through Jiu Jitsu started to get together wherever we could. It didn’t matter if it was in someone’s back yard, someone’s living room on the carpet or a shed where a friend had put down some mats, I just had to train. This went on for a couple of years. It wasn’t until 2001, when I was on a vacation and visited Arlington, TX for a week that I discovered a real Jiu Jitsu academy. As I was driving through Arlington, I came across a Carlos Machado Jiu Jitsu academy. In knowing that Carlos Machado was first cousins of the Gracie family, I had to pull around and go inside. The guys there were nice enough to let me join in on the class. I loved it! It was the Jiu Jitsu I had been looking for. At the time, I was working for General Motors in Saginaw. The Carlos Machado Jiu Jitsu academy I found was just down the street from the Arlington General Motors plant. I got this crazy idea that I could maybe transfer my job so I could train Jiu Jitsu like I really wanted to. When I returned home from my vacation, I put it my transfer to the Arlington plant. I honestly didn’t think I would get it, but I figured I would just put it in anyway without really thinking it all through. No more than a few days later, I got a letter saying that my transfer was approved and that I had to report to the Arlington plant in 3 weeks. I was in shock. I really didn’t think it would happen, especially not that fast. I was born and raised in Saginaw and never really thought about leaving until that point. Everything just happened so fast. Three weeks later, I was living and working in Arlington. I was in a new city and finally joined a Brazilian Jiu Jitsu academy that could help take my Jiu Jitsu to the next level. I trained Jiu Jitsu 4 to sometimes 5 days a week. After about 6 ½ years of training and competing, I received my Black Belt in Brazilian Jiu Jitsu. Around the same time, General Motors was offering their last big buyout. You had to have 10 years or more with the company to receive it and I just qualified. I had a decision to make it. I absolutely hated my job. Even with making good money and having great insurance it just wasn’t satisfying. I wasn’t doing anything fulfilling or beneficial to others. I was working like a robot and could be replaced at any time. Yea, I was providing for my family but I didn’t feel like I was doing anything for myself. Jiu Jitsu gave me a purpose. It kept me in shape, gave me more of a reason to take better care of myself and put me around great people that had the same goals as I did. It was absolutely the best thing that I have ever done. After a lot of restless nights of thinking about everything I would be losing versus what I could possibly be gaining, I decided to burn the ships and go all in. I took the buyout and left everything with General Motors behind. I wanted to give to others what Jiu Jitsu was giving to me. I began by laying down some cheap puzzle mats and started teaching four guys out of my garage. A few months later, I stumbled across a gymnastics facility while in search for some real mats. The owner asked me to teach my Jiu Jitsu class out of a corner in the back of the building. Everything was going good. I started to build my student base and after about 7 months, it started to get over crowded and we had to make a move. I finally leased my own 4,500 sq. ft. facility where we stayed for about a year and half. Business kept going great, but we kept growing and it began to get over crowded in that location as well. The business next to us was growing as well and wanted our space. They ended up taking over my lease and we moved to another location just around the corner that was 9,500 sq. ft.
We spent about 4 years at that location until we were told by the landlord that he was growing and needed our space. My lease was already up and I had no choice but to make another move. We ended up taking over the 15,000-sq. ft. facility across the parking lot where we now have one of the nicest Jiu Jitsu academies in the country. We have 4,700 sq. ft. of training mat space, showers, lockers, six 50-inch screen TVs and a full work out area with all the essentials for a great workout. Now that we are settled in and won’t be moving for a while, my goal is to keep helping others live better, longer and healthier through the Jiu Jitsu Lifestyle. The biggest challenge I would say is trying to always improve and grow the business. There’s always something new to learn and understand on how to become better. Just like the years I spent on learning Jiu Jitsu and still am learning, I have to continue getting better as a business owner. It’s a never-ending grind that I truly embrace. I never want my Jiu Jitsu, my students or my business to be average so I am in a constant state of learning. 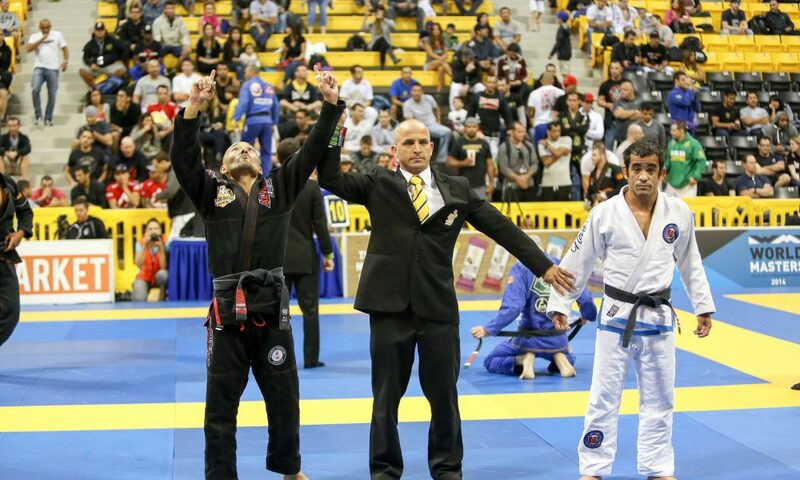 So, let’s switch gears a bit and go into the Alvarez Brazilian Jiu Jitsu story. Tell us more about the business. Since day one, the goal has always been and always will be, to help others achieve their goals. For the kids and teens, it’s always helping them deal with bullies, build up their self-esteem, improve their grades, getting them is shape and teaching them how to eat healthier. The kids in our program get burpees, pushups and sprints for making unhealthy food and drink choices. For the adults, it is mainly helping them achieve their health and fitness goals. So many adults come in with very poor eating and lifestyle habits. After high school or college, a lot of people just let themselves go health wise. Everyone says the same thing. “I have a job, kids and I’m just too busy to cook healthy or exercise”. We use Jiu Jitsu as a platform to help students understand the importance of changing their eating and lifestyle habits for the better. It’s really hard to get better at Jiu Jitsu if you are not eating the right foods, drinking enough water and taking good care of yourself. Students learn really quick and have to think twice about eating fast foods and drinking sodas if they want to get better on the mats. That stuff just doesn’t mix well on the mats when someone is trying to choke and arm bar you. Everyone that walks through our academy doors have no choice but to improve as they are surrounded by other individuals that are all trying to become better. We have had so many students lose anywhere from 20 to 100 pounds after joining our Jiu Jitsu program. A lot of them are taken off their High Blood pressure and Diabetic medication by their doctors. In an atmosphere like ours, you just can’t lose. I don’t think luck had any role to play in how I got to where I am today. Just like anything else, it’s just a matter of putting in the work and having the patience to see it through. I believed in what my goal was and wasn’t going to stop until I made it happen. I didn’t finish a lot other things out in my life and knew what that felt like. I wanted to see what it felt like to finish something like getting my Black Belt in Brazilian Jiu Jitsu and owning my own Jiu Jitsu academy. Now that I did both, I want to see how far I can go. Great job Danny, and congratulations on a successful journey!! Congratulations Danny! I love to read about your story! !